HOME | ALL VIDEOCASTS | SUBSCRIBE NOW! Supply Chain Digest is the industry’s premier interactive knowledge source, providing timely, relevant, in-context information. 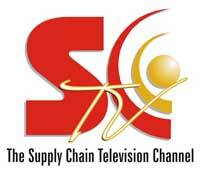 Reaching 40,000 supply chain and logistics decision-make each week, our flagship publications - Supply Chain Digest and Supply Chain Digest – On-Target, and web site (www.scdigest.com) deliver news, opinions and information to help end users improve supply chain processes and find technology solutions. Join tens of thousands of your peers – see it on SCTV! © 2011. SCDigest. All Rights Reserved.